Jane Goodall was born into a middle-class British family in 1934, a time when opportunities for women had definite limits. And yet her mother, Vanne Morris-Goodall, always encouraged Jane to follow her heart. “Mother told me that I could do anything if I put my mind to it. 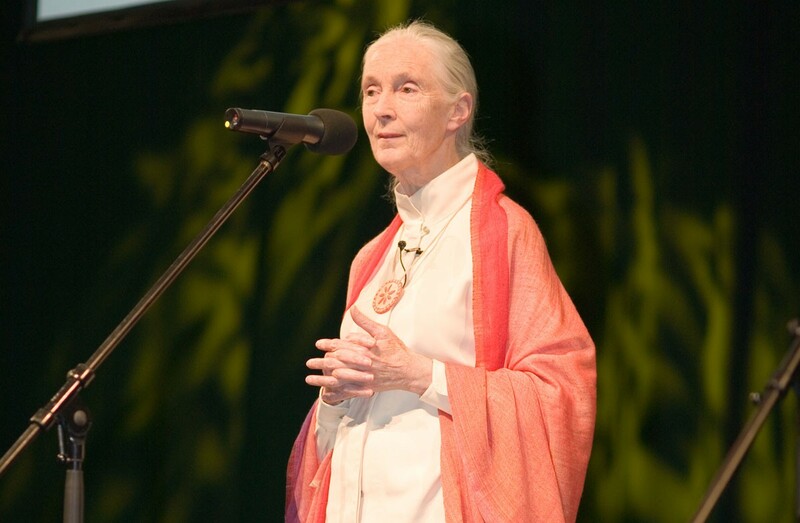 I am always grateful for that,” Goodall told The Citizen in 2014. Goodall’s parents divorced after World War II. Though Goodall couldn’t afford to attend university, the young woman set herself to a series of jobs—as a secretary, a waitress, and temp at the post office in her hometown of Bournemouth—in order to save enough money to make her first trip to Africa. It was there Goodall met anthropologist Louis Leakey, who recruited her to study the chimpanzees living in Gombe Stream National Park in southeastern Africa. Though she had little formal training, Goodall possessed determination and a fierce love of animals. She also had her mother’s support: when British authorities complained that a young woman should not be living alone in the jungle, Vanne accompanied her daughter as a “chaperone” for four months, during which time she also managed to establish an informal medical dispensary to serve people in the area. Though Goodall did not possess a university degree, Leakey arranged for her to pursue doctoral studies at Cambridge. Her unorthodox research tactics (for example, she credited the chimpanzees she studied with having emotions and relationships, and accordingly gave them names rather than numbers) were regarded with disdain by some academics, but Goodall prevailed: her methodology has helped set the ground rules for contemporary field biology. Today she is an activist, working to protect chimpanzee habitat and create jobs and healthcare opportunities around Gombe. Her son, who lives in Tanzania and is raising a family of his own, has worked with his mother to save hippos in one of the country’s national parks.